Alan Cork was born during the Second World War, in 1944, and since then life has been a “continuous roller coaster ride”, he says. He trained in the 1960s to become a qualified journalist and moved into the field of business and technical magazines. Alan has worked for many of the major UK publishing groups over the decades and has been editor and managing editor of a number of specialist magazines, a job that has taken him all around the world. Some of the quirky magazines he has edited include “Solid Fuel”; “Shoe & Leather News”; “Refrigeration & Air Conditioning”; “Hospital Equipment & Supplies”; “Polymers Paint and Colour Journal”; and “World Tobacco”. 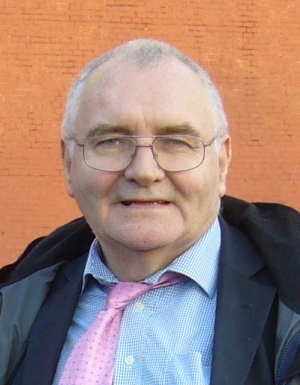 After 50 years of full-time work and half a lifetime of writing on business and technical subjects, Alan retired in 2008 but continues to freelance on a part-time basis. “My retirement project was to write a full length novel. After years of writing serious articles I wanted to have some fun with fiction,” says Alan. “I was influenced by many of the old writers read in my youth: Edgar Allan Poe; Sir Arthur Conan Doyle; H. Rider Haggard; Charles Dickens and Sax Rohmer. Many of these Victorian authors are still very readable and have been an inspiration to me. 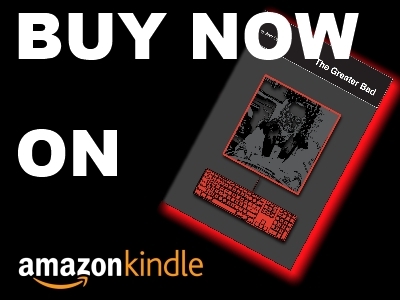 I wanted to incorporate their influence into a thriller for the 21st century; a dark tale of a modern multi-national corporation driven by a lust for power and using the most advanced technology available as weapons against all that would stand in its way. “Over the decades I witnessed the cycles of expansions, mergers and collapses that typified the modern business world. I would sometimes change jobs to find that the company I had joined had been taken over by the company I had left. I sometimes felt that these giant corporations took on a life of their own and destroyed those who would try to manage them. This is what I tried to capture in my book. Alan currently lives in South London, near Crystal Palace. He is a widower, a father to a son and daughter and grandfather to two grandchildren. Family continues to be important to him. His son-in-law is a Kurd from Northern Iraq, a refugee from Saddam Hussein’s persecution of the Kurds, and Alan fought a long and ultimately successful battle to stop him being deported from the UK. Following on from The Greater Bad Alan is now working on a sequel/prequel. “I have to top The Greater Bad with more blending of Victorian gothic with the greed and lifestyle of the high-technology 21st century. I am aiming to become an established author of twisted, dark thrillers which, no matter how horrific they get, will always have a heart.